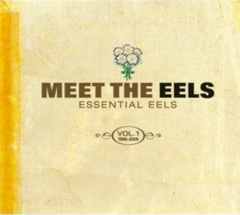 L.A.‘s Eels are eclectic intelligence set to a rockin’ beat - imagine American Bandstand hosted by Hunter S. Thompson. A scatological novel where tragic memoirs are sung without remorse, “Essential,” beautifully ties together ten years of sabotaging formulas and stretching perspectives with Blue Velvet cool. The surreal and ideal congeal as corrosive curlicues of bluesy grooves melt into lyrical chamber pop then blend into literate hip-hop as acid-etched solos run over poetic piano reminiscing in childhood reverie. Sunny sarcasm meets cruel clichés as parables of parasites compete among the casualties of heartbreak, wringing truth and hope from bruised ballads and seething symphonies. “Meet,” includes a visually stimulating DVD, but collectors should also investigate the companion set, “Useless Trinkets,” a collection of B-sides, soundtracks and rarities.